In the last few weeks, I have been receiving queries on login and password related issues of EPF UAN (Universal Account Number). Most of these queries are posted in my other article – “all you need to know about UAN”. I felt that publishing a separate article on EPF UAN login related issues can be useful. Lost my mobile number so unable to receive OTP. How to update my new mobile number? I am not receiving OTP SMS on my mobile? Forgot UAN login password, how to get a new one? How to change my DOB (Date of Birth) details in UAN portal? How to make correction in Father’s name in UAN portal? DOJ (Date of Joining) is incorrect, how to get it rectified? Employer is not verifying my KYC details and so on..
Latest Update (22-Nov-2017) : The EPFO has recently launched a new online provision to correct/change your Personal Data (like Name, Date of Birth or Gender) against EPF UAN. Kindly visit my latest article on this topic. Please ignore the information provided in this article. UAN helpdesk is not longer functional. Let’s first understand what is EPF’s UAN? The UAN (Universal Account Number) is a 12-digit unique number allotted to each Employee Provident Fund member by the Employee Provident Fund Organization (EPFO). 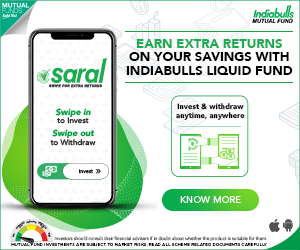 This UAN will act as an umbrella for the multiple ‘Member Ids’ (PF Account Numbers) allotted to the same individual (Employee or EPF Account holder). To log into UAN portal, mobile number and password are mandatory. So if you change your mobile number or forget password, you need to update your new mobile number / create a new password. In UAN portal, under ‘Manage’ menu you have the option ‘Contact Details’ to update new mobile number but you can use this option only if the old mobile number is still active. What if you lose your mobile number and also forget your UAN Login password? In this scenario, you can submit online request through EPF UAN Helpdesk. You can use UAN helpdesk to resolve the below issues. Kindly note that this online helpdesk facility is still a beta version. What is My UAN? 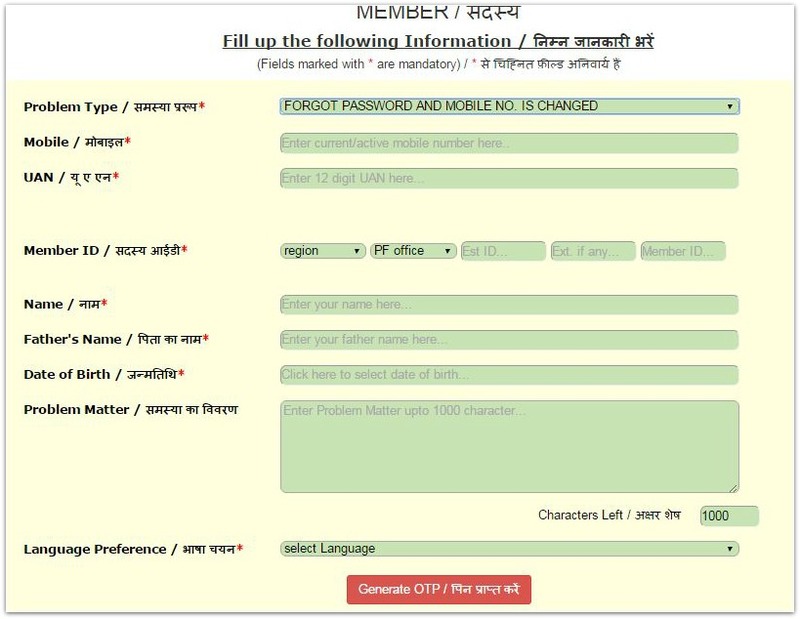 : You can know your UAN number by submitting details like mobile, member Id (EPF a/c number), Father’s name, DOB etc., Kindly note that you can use this option only if you have an active and your mobile number is registered in UAN portal. Forgot Password & Mobile Number Changed : I believe that most of the UAN login issues are related to this option. You can use this option if you have forgotten both your UAN login password and also lost your mobile. If you have forgotten password but your registered mobile number is active, you can reset it by visiting UAN portal. Latest Article : The online procedure to change or update your mobile number in UAN account has been changed, kindly go through my new article @ ‘How to change Mobile number in EPF UAN Account online?’. Issues related to ‘SMS not received when activating UAN can also be resolved through this facility. You can submit online request to know the status of your PF transfer claim. After submitting the request, you will receive an OTP to your mobile number. You have to key in this OTP and vefiy it. A reference number gets generated and this is also sent to your mobile number. This online facility is still a beta version. So, you may experience some technical challenges while submitting your online requests. In such a scenario, you can submit your offline request through your employer. What is the procedure for correction of details like name, father’s name, mobile number etc in EPFO database? Your employer will then forward your request to the concerned EPFO’s field officer. After verifying your request & supporting documents, the EPFO will get your details (member details) corrected in their database. I could not login, while login i ma getting invalid column name. Dear lucky .. Kindly read : How to update or change EPF UAN Account Mobile number online? I have corrected my PAN name similar to UAN portal name 2 months back. still I am getting the same message UAN name not matching with income tax database. I lodged complaint in grievance website they are not replying properly.phone number in grievance complaint also not working. Kindly note that the name format between UAN and PAN card should be the same (First name – middle name – surname). If yes, the EPFO databases might not yet been updated. You may have to wait for the EPFO to reply to your grievance..
Now for PF they are asking to correct in aadhaar, if i correct that na what I need to follow sir, either PAN card or SSC. In pan card it is not allowing initials. Then how i can change sir similar to my SSC. If i follow my aadhaar and pan with same name na then it is against to my SSC. How i can solve my issue. Please help. dob i can correct sir. But name is very much problem in PAN and AADHAAR. It was not at all matching if I follow my SSC name for Aadhaar updation. Kindly do not share your personal details in public forums. First priority is to update your PAN and then based on that you may have to get your Aadhaar and EPF UAN updated (same name format) ..
My father’s name is incorrect in the UAN card. I had submitted join declaration with my employer. I have got the mail that it has been submitted and it will take 90 days to reflect. its been a year and more but my father’s name is still not updated. Whenever I call the helpdesk number it says busy. I had created the joint declaration for the 2nd time and this time I have to send it to chennai (to the employeer headoffice). They had accepted it and they had sent me back the joint declaration form with their stamp and told me to directly submit that to EPFO headoffice. But this also do not have any surety weathe weather I will get any response after sending. Because it not possible for me to send it to Chennai evrytime. I have also tried the online process. They are saying that reference number will be sent to the authorized number. But I am not getting any ref number. Please help me. I am tired of doing this. Kindly note that updation to PF member’s Father’s name can be done through offline mode only (as of now). Did you submit your grievance to the EPFO via this link?? I have activated UAN account, but i could’nt login through EPFO. its showing some mismatch. I tried to use “forgot password” option to reset the password. But unfortunately it took long time to get the OTP in mobile and by that time the window in which OTP has to be added has gone. Now, when am trying to get the new OTP, its showing that the limit exceeded to request OTP. What can be done next ? ? You may kindly submit your grievance to the EPFO online via this link..
as per my UAN, PAN card, Aadhar card the above mentioned name is present. When verify my pan card details in my UAN account, it says “pan verification failed name against uan does not match with name in income tax department”. When i verify the PAN database, my father’s name i.e DHARMARAJ is present as my first name i.e “DHARMARAJ GODWIN HERALD GLADSON “. Can we give suggestion how to resolve the problem and update my PAN details in UAN accout. I have requested for the name change in UAN basic details. It’s been so long my request is pending with employer with no actions. Your employer can approve it the very same day, after-which the PF filed officer has to approve it. This process may take 30 to 60 days. Suggest you to contact your employer immediately. Is there any way to speed up the process as the changes are now pending with PF Field office. You can submit your grievance on this to the EPFO via this link.. I was the employee of Golden india expotrade pvt ltd. Company. But by owner of this company all employees retranche from company. Now he show bankrupt thats why he closed his company.But when we show online its shows running company. But when we went at office he closed all time. Due to this reason we are unable to withdraw our PF. Before some days he gives the authority to HR for Signature Attested. But now Epfo office says to us that you should attested from that company. Pls solve this mattwr how we can withdraw our PF. If your UAN has been seeded and verified with your Aadhaar, you can withdraw EPF by submitting CCF-Aadhaar form directly to the EPFO. You also have the option to make online claim through EPFO’s Unified Members Portal. My Aadhar is verified on Epfo website however my PAN card is not getting verified due to name miss match. on my PAN full first name “Mohammed”is mentioned whereas on epfo and aadhar only “Md” is mentioned please help how to resolve this issue. The link you guided to is about changing/correction of name in epfo however my epfo and aadhar name is same and correct and i dont want to change it there, my pan card has full name (Mohammed) instead of (Md) what should i do in that case. My name is Omprakash Pandya. Me ek company Mangla Enterprise mein last 20 years se work kr rha hun.Abhi tak mera ek hi PF account me pf submit ho rha tha. But 6 month phle company ne purane account k bjaye 1 new account Mangla Engineering company se open kr k uspe UAN no. Issue kiya aur usme pf submit krna start kr diya. And ab wo bol rhe hai Mangla Enterprise company se resign kr k phir se Mangla Engineering me join kro. Iske wajah se meri seniority aur purane pf account dono khatam ho jayenge. Please Help me regarding this matter. You can get the funds transferred from your previous EPF account to your new EPF account. Your total service period also gets transferred. Hi sir good morning and thanks for your revert. Sir 2nd company ne same date me apne 2no plant me acount open krr dia h or vo un acount me 2 days ma pf transfer nhi krr rhe h.
Acount 0 balance show krr rha h or erer aa rha h employer has not do payment in your acount. Mere company ke contractor ne mera father name mere epf me add nhi kiya tha isliye me apna PF nikal nhi paa rha hu. Mene ek company me 3 year work kia or muje us ka epf ka pesa widrall krna h. but problem ye h mne ek company me 29 june 2018 to 30 june 2018 work kia. us company k do plant h or mera 2no plant me acount open krr dia same uan no pe. us ki karn mera pf widral nhi ho rha h. or vo company mere koi help nhi krr rhi h jbki fault un ki side se h.same working day me 2no plant me mera epf acount open krr dia h. is karn mera pesa un ki company acount me transfer nhi ho rha h.
pls mere help kre or koi solution btaye. You may transfer the funds from your 1st EPF account to new EPF account and then withdraw the funds online. You can contact your first employer and withdraw the funds offline. Employer cannot edit my name. According to aadhar and pan no……. Kindly go through this article, can be useful – How to update or change EPF UAN Account Mobile number online? We provide information only here. I was working in tech mahindra for 2 and half years and leaving the job in the year 2016 may 20. But now when was trying to claim my EPF through online, my service profile like date of joining and date of leaving are not updated. So I am trying to contact with techM epf help desk and mailing them through emails and phone calls but I dint get any response from them. But I have documents like salary slip and leaving certificate to support this data ( date of joining and leaving). Right now I am not staying in India so I can’t go through directly at the head office. Now my question is can I withdraw my epf balance without the knowledge of my employer in this situation. If your kyc (PAN/Aadhaar/Bank) details have been approved in your UAN portal, you can submit CCF-Aadhaar form directly to the EPFO regional office where your EPF ac is being administered. Yes sir ,my Aadhaar, PAN, and Bank details are already updated and approve in my UAN portal. Shall I submit the CCF form only or with my leaving certificate copy? How I come to know where my EPF ac is being administered. Plz mention the list of the documents that I need to enclosed while sending through post office. You can enclose copy of PAN card, Aadhaar, cancelled bank cheque leaf which has your name imprinted on it (same bank as in UAN), Form 15G (if required) along with CCF. You may go through this link to identify your EPF office..
My PF ammount transfer from previous to new company trrough employer but Pension contribution amount not transfer. How can transfer my Pension contribution from old to new PF account. I have 2 uan no. any problem occur in future due to this. Once the PF transfer is successful, your old UAN gets automatically blocked. You can continue using your latest UAN. Kindly read: What happens to EPS on Transfer of EPF account (or) when you switch Jobs? My Gender details was not updated in EPFO website and hence i did the correction by following the steps given in few websites. However the chnages are still not reflecting and it says “Pending action from Employer”. Could you please suggest me what can be done at this stage as it is very important for me to link Aadhar details to my UAN account and without Gender details I am not able to perform this task. Dear Shilpa .. Kindly follow it up with your employer. They can approve it instantly. Once it is approved by your employer, the EPFO staff will take it further..
Sir, it has been one week since my employer approved my gender change details but it still says pending at the field office. How much time does the EPF office take to approve the changes? Suggest you to submit your grievance to the EPFO to speed up the process…Click here..
My friend’s father name is incorrect in his UAN. Dear Sumer ..Your friend has to submit a Joint-declaration form to the EPFO through his employer. He has to contact his employer in this regard. can u tell me how many days its required to clear. Dear chaluva ..EPFO generally settles online claims within 10 to 15 business days. Dear sir online claim 15G form to hai nahi to kya tax katega kya. Is your PAN linked and verified in UAN portal? I have lost my registered mobile num and forgot password also. While resetting password, after verifying my details it is sending OTP to my new number but i am not able to receive it. Gets struck over that step. It saying OTP sent successfully, but I didn’t receive. Suggest you to submit your grievance to the EPFO..click here.. I am facing duplicate UAN issue. How I can transferred my PF from old UAN to current UAN. My Adhar is linked with new UAN and it is not getting updated in current UAN. Please help. Dear vimal ..Kindly go through this article @ Have you been allotted two UAN numbers? How to get multiple EPF UANs merged? You need to get this information either through your employer or EPFO. but I don’t receive it. My phone number is correct so please help me with this issue. Is it the same mobile number that is linked to your Aadhaar? (Have you linked your Aadhaar to your UAN)? You may submit your grievance to the EPFO..click here.. I want to withdraw the pf online and i am not able to understand how to do it. I worked in a company for 2 years and after that i switched. I worked in the new organization for a month and then i started my own venture..
Now my previous organization pf is huge amount and new one is just few hundred. Now i want to withdraw previous organization amount online but when i login into the portal, they ask me to transfer to new employer. UAn is same for both. So if i transfer to new employer will i be able to withdraw previous employer pf completely. My kyc aadhar seeding everything has been done already.. Please guide me on the process for online withdrawal. You can transfer the funds from previous EPF ac to latest one and can withdraw full EPF balance..
Dear MONUJ ..You may kindly go through this article.. I have applied for PF through online on 11th April 2018 and I got a SMS on 15th April 2018 mentioning -Your Claim TNMAS180450007116 is settled and amount will be credited within 3 working days to my bank A/c. But still i didn’t receive the amount. I tried contacting pf office but the called number will be busy. can you suggest what I should do now? Kindly re-check if your bank details that are available in your UAN account are correct or not. Bank details are correct in UAN account. But Bank account number starts with “Zero” in which zero is not reflecting in UAN account. Is it because of that amount still didn’t credit. May be, that could be the reason. Suggest you to submit your grievance to the EPFO and ask for the reason of non-credit of funds to your bank account..click here.. If bank ac details are the reason then you may have to issue a re-authorization letter to the EPFO directly or through your employer by giving correct bank ac details. But its not happening. is it mandatory grievance description should be 5000 characters. I am not sure about the word limit. You may try taking support of your employer as well. TRYING TO TRANSFER MY OLD PF ACCOUNT TO THE NEW ONE SINCE LAST 4 MONTHS. BUT OTP BUTTON IS DISABLED. HENCE NOT GETTING OTP. PLS. HELP OTHERWISE I’LL LOST INTEREST ON MY PREVIOUS BALANCE. Kindly note that interest gets accumulated on your EPF balance till you withdraw your PF funds. You may submit grievance to epfo about tech issue related to OTP button – Click here.. Else, you may submit offline transfer request through your ex-employer. Did you share same old UAN to your new employer? Yes my UAN has 2 accounts details (previous & current) & I can view passbook for both of them. but used to receive SMS from EPF to transfer my previous account in the current one; which i am unable to do due to not getting OTP. is it necessary to transfer the previous one? Yes, it is advisable consolidate your multiple epf accounts into one. You may submit your grievance to epfo..
Dear prem ..Kindly go through this article..
Dear sir My name is Monuj Payun. Sir I need help me because my EPF Name M PAYUN. Please Solution how to change my name. Dear MONUJ ..Kindly go through this article @ UAN name correction – online procedure.. I have been following up with my previous employer (RANDSTAD) for the last 2 years to settle my EPF amount. In this connection all documentation were done. Today I get a courier containing all the documents and the reason for not able to process as that my name is not the same in bank statement and PAN card. All my certificates and bank accounts have the surname as only initial, whereas in passport and pan card it is been expanded. Previous organisations did not have any problem in processing and giving back my PF amount. can you suggest what I should do now? Dear Sudhamani..You may request your ex-employer for name correction. You need to submit the required documentary proof to your ex-employer and in turn they will get it processed through EPFO. Does this Site really works ? As per the instruction we have filled up the joint declaration form and submitted it to the SRO, Keonjhar along with supporting documents for correction of name of the employees of our organisation. The Pf department has intimated us regarding the correction of the name in their office desktop of our employees attach in pdf attachment file. But we regret to inform you that the online correction has not yet been made as informed by the SRO, Keonjhar because while loging into UAN member portal it shows the previous name as it like in short for name and not full name and before name MR. and MS. is as it is written. So while link aadhar with UAN No it shows error due to which we are unable to link the aadhar. Therefore we would request your goodself to kindly made the online UAN name correction as per our documents submitted at SRO, Keonjhar and delete MR. & MS. before the name of all of our PF members of our establishment for Aadhar link at the earliest so that we can link our Aadhar before 30.06.2017. Kindly contact EPFO on this matter..
Hello, My UAN has been activated, but I’m not able to login UAN portal and getting error message ” invalid user name or password”. please help me out . and i want to with drawal my PF amount . UAN helpdesk domain would not be open. I will change my DOB. Please help me sir. I have problem for changing the mobile number, please help me for withdraw the amount from my account. Dear Sir, I have lost my mobile number and forgot password. How can I reset my password? Please suggest. my new mobile number is 8769132963 requesting you to please help me. thank you so much in advance. My pf a/c no DS/NHP/0008561/000/00079**. DEAR SIR I HAVE ALREADY ACTIVATED THE UAN NUMBER ONLINE THROUGH EPFO CONCERNED SITE BUT I HAVE NOT RECEIVE THE UAN NUMBER MASSAGE IN MY MOBILE, I HAVE TRIED IT AGAIN BUT THERE IS SHOWING THE MASSAGE THAT, THE UAN NUMBER IS ALREADY ACTIVATED. SIR PLEASE HELP ME, NOW WHAT CAN I DO FOR OBTAIN OF MY UAN NUMBER..
(or) You can submit your grievance online ..click here..
Hi,i have got PF and UAN number .now tell me next step but can i do . I have forgotten UAN Password. Now I am creating New password, but there is some problem for “Enter Valid Password”, What is Valid password? If you pls help. my date of Birth is wrong entry in uan member portal how to change my date of birth. Sir, as I have new UAN Account number from my new organization . My mobile no. is already registered with old UAN Number. So can I activate or register my same mobile number with New UAN Number. While I am trying register, I am getting error of (Mobile no. is already registered). Dear GAGANDEEP ..You can submit name correction request through your employer..
my name DOB were incorrect in uan account.whem i requested my employeer to contact pf authorities to change the details.They are sayng my details were updated based on KYC but no KYC document has bben updated in my site.What is the procedure if my employer is not supporting to update the details. I M SUFFERING OF EPFO PROBLEM. BECAUSE IN MY EPFO MY NAME IS WRONG MENTION. SO I WENT TO CORRECTION IN MY NAME. Dear Brijesh ..You need to submit Name correction request to your employer and also submit supporting documentary evidence for the same. This is for you kind information that from last 6 month i am trying to recover my P.F balance. but not getting any response of my mail, also very difficult to catch them in telephone. Now i am in very problematic situation and its very urgent to get the money. please help me to recover my money. while checking status online it is showing that it is already settled but I am sorry to inform you that unfortunately I have not received any cheque or amount in my account, kindly do the needful. Sir, For your information details is given below. Status : Claim Form 19 for PF Settlement AGAINST Member Account No (DSNHP09431350000000275) has been approved. Payment is under process. Status : Claim Form 10C for Withdrawal Benefit AGAINST Member Account No (DSNHP09431350000000275) has been approved. Payment is under process. Status : Claim Form 19 for PF Settlement AGAINST Member Account No (DSNHP09431350000000275) has been rejected. Rejection letter is under dispatch/ dispatched to address in your claim form. Suggest you to post your grievance at this link..
Did yo submit the withdrawal forms twice? (or) You may visit EPF office in person and find out the reason.. Yes I do have submitted twice the withdrawal form because the account number I had given in withdrawal form that was closed after 2 days for form submitted, thats why I had submitted another withdrawal form with new account number. My UAN name and PAN card names are mismatching. How to update the UAN member name? Sir, as I have new UAN Account number from my new organization . My mobile no. 8080889773 is already registered with old UAN Number. So can I activate or register my mobile number 8080889773 with New UAN Number. While I am trying register, I am getting error of (Mobile no. 8080889773 is already registered). How to Activate my UAN number? ?when i have tried to activate UAN number then i get technical error…how to solve this issue?? Actually i have forgotten my UAN password however my mobile no is still active and am not able to change the password. Could you please provide me the email id for escalation? I have the same problem with my UAN I am also not able to to change my mobile number as i have changed my number. Sir i lost my UAN password and my uan no: 100117702181 and my contact no is 8826731006. Can you tell me how we can create new password so that i used my UAN number. Dear Brijpal..If you have forgotten password but your registered mobile number is active, you can reset it by visiting UAN portal. Hi, I am getting an error while trying to Reset the password. It says “Website Failed to change the password”. My phone number is registered and I am using the OTP. The Password is also alpha-numberic with special characters. Still I am getting this error. Please help. UAN Helpdesk is not working. I have been trying for more than a month. How to change my mobile number, I have tried many option but now luck. I do not have old number with me, if I give forge password , it is taking me old Number and from their asking me to share kyc document, As of i have not updated KYC, if i share Adhar no/PAN No, It is showing verification failed. Kindly help me to fix this. i’m struggling to update this from few months. Dear Pramod ..Kindly read: Have you been allotted two UANs? How to deactivate old UAN? Dear Sir, I have lost my mobile number and forgot password. How can I reset my password? Please suggest. my new mobile number is 88272472** requesting you to please help me. thank you so much in advance. HOW I ACTIVATE MY UAN NO WHILE REGISTER MOBILE NUMBER HASBEEN LOST AND I TRY UAN online helpdesk portal LINK MANY TIMES BUT THIS IS SHOWING ERROR LINK. PLEASE GUIDE ME OR SUGGEST ME HOW I ACTIVATE MY UAN NO..
Dear TANMAY ..UAN portal has been down since few weeks (some technical issues), you may try again after few days. I am trying to update my in UAN portal but there is no option of edit. So I thought of editing with the help of UAN HELPDESK. The problem is I am not receiving any OTP Pin to submit my query.0 Please do me a favor regarding this. Dear Rashitha ..EPFO’s UAN portals have been down since few weeks, you may have to try after few more days. We have active my UAN No and received password from VM-EPFOHO. But we try to login on link : https //unifiedportal-mem.epfindia.gov.in/memberinterface/login (screen short below for your reference) but not login, massage appearing – Invalid user name OR Password and we try for login so many time but same problem display. them we try to login through Forgot Password then other error disply UAN Verification Failed. Dear sir, could you explain as we have lost our organisations mobile number which was given for UAN Registration and the number was not active now as the uan website asking for otp ,how we can change the mobile number in our data as is mobile number not working now? You may kindly submit your grievance to epfo direct , click here.. I tried activating the UAN & it sent me sms with login credentials. But when i tried to login with that, error with invalid username & password is popping up. You can select ‘Forgot Password & Mobile Number Changed’ option and get your issue resolved. i want to change my mobile number. i don’t know mobile no which are registered with my uan and i want to updated new mobile no. so, please help on us. UAN site is not working since last one month, kindly let me know when this issue will get resolved. This is worst site(New). cant open sense last 5 days, cant download passbook at a single time. please help on this as soon as possible. otherwise provide us older site, which is more suitable to us. Hi, My online pf transfer is pending since 4 months, my old employer has approved it, current employer has approved it, don’t know what is wrong. Any idea? is 9867642617, could you please help me to update the same to my below mentioned UAN. hi sreekanth, i have created my UAN number around 1 year back but i did not used afterwords, now i want to know my number, how can i do know my UAN number. Dear Venugopal ..Select ‘what is my UAN?’ option and submit a request to help desk.. 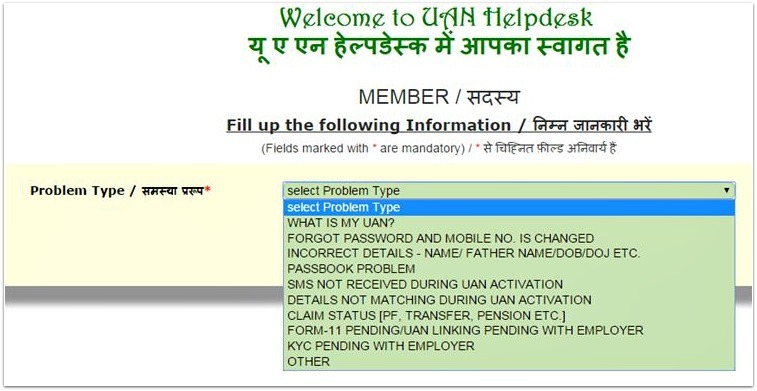 I want to update new mobile number but I am getting error while changing it through online UAN member portal and I am not getting “forgot password and mobile num is changed” option on UAN helpdesk site. Please let me know how to change contact number. Dear Tanvi ..It can be a technical error and the EPFO has officially communicated that there are some tech issues with their portals, so you may kindly try after few days. Dear Kanhaiya ..Kindly follow the points given in the above article. My Passward Is Not Forgot WithOut MObile NO. Pls Help …. Dear Sir- Registered mobile number is lost & my new mobile number is 8171256134 could you help me,. I have forgot my password but my mobile number is active. I have been trying to get new credentials by the forgot login method. But I do not receive the sms with the credentials. I have tried it many times, but the sms with password never comes. Dear Manik ..Suggest you to post your grievance to the EPFO, click here.. I have got two UANs. One with current and the other with previous. I got myself registered on the EPF portal with my old UAN and mobile number. I want to change. Delete my previous UAN number or update it. How can I do this. Would appreciate you help on this. Dear Manoj..Kindly go through this article : Two UANs allotted? How to get old UAN deactivated? i have lost my mobile and uan password also.so uan account could not be open .please suggest how to open the same. Dear Vishal..As mentioned in the above article, you can submit online request through help desk facility by opting ‘Forgot password and mobile number changed’ option..
sir my mobile no is not active which i had give during my joining so i could not able to access it what is the procdure to actiive my new no because of it i could not able to remove my pf. I tried to login using “Forgot Login” option. When I entered my UAN number and registered mobile number, it displayed “Invalid UAN or mobile number”. Tried in windows and mobile. Getting same response. If employed, you can take help of your employer. Else, submit your grievance to EPFO , click here..
is 9760917222, could you please help me to update the same to my below mentioned UAN. dear sir i had joined new company in ferbuary. i have filled f-11 form. right now they want to update my Pf account . mistakely i forgot my mobile no.. but to update this they require two field first date of birth and second mobile no. right now i forgot my mobile no. which i had written at the time of filling form. how can i update this or change my mobile no. as my F-11 form submitted to pf office. Dear Shivam.. You can use the option “Forgot Password & Mobile Number Changed ” and update your new number. is 7039646286, could you please help me to update the same to my below mentioned UAN. cant login acct even after enterin correct details ,,, the logij window keeps on refreshing !!! Dear Nisha..Try login from other system with different browser/Operating system. i was left 3 company but only i am able to see my first company contribution, we are alredy done transfer claim also and employer also done the same. is 8745899301, could you please help me to update the same to my below mentioned UAN. is 9731028699, could you please help me to update the same to my below mentioned UAN. is 8088474181, could you please help me to update the same to my below mentioned UAN. Current PF no WBCAL002657800000016** .I online transfer from TNMAS003579100003309** to WBCAL002657800000016**. But ,recent pass book& balance not showing. Now previous pass book & balance show. UAN card not linked to current PF number.now previus PF number showing .I contact EPF field officer.he tell me within solve 5-7 days . 4weeks over it no solve. You may kindly request your current employer to link current EPF a/c to your UAN. My name is mismatched in UAN member portal, I am unable yo make necessary changes in portal. Request to you kindly suggest me for the further. Dear Nagendra ..You can submit name-change request to your employer. You have to submit ID Proofs to your employer. They will forward your request to EPFO. Dear shubham ..Kindly read: How to generate UAN number online? Yes. I tried everything. firstly when I was logged in, it was asking for new password change. Alphanumeric and all. I did it too. But again got the same error invalid credentials. Then I called customer care but didn’t got any positive response. Dear Itu ..If EPFO help desk is not helping you then how can I resolve this issue. I lost my registered contact no. But I have my UAN NO. Now I want to update my new no. So that I can login. But I am unable to update new no. Even I tried “forgot password and mobile no” change options. It’s showing error msg like, invalid credentials etc. And I have sent an SMS type EPFOHO SERVICE CODE 12 DIGIT UAN MEMBER ID. And send it to 7738299899. but still nothing is working out. If you know UAN and remember the password, you can just login to UAN portal and update the new mobile number. Did you try this? I lost my registered contact no. But I have my UAN NO. Now I want to update my new no. So that I can login. But I am unable to update new no. Even I tried “forgot password and mobile no” change options. It’s showing error msg like, invalid credentials etc. And I have sent an SMS type EPFOHO SERVICE CODE 12 DIGIT UAN MEMBER ID. And send it to 7797855367. but still nothing is working out. Hi sir my name is Sudeep saxena and i want to download my UAN card but lost my registered no. kindly help me to provide forgot pwd link on my email id. i am not able to login after activating UAN no with the credential generated in system and password is rested by us please guide me . i have forget my EPFO Login password and my old no. is change so plz change my mob.no my new no-7207341102. UAn helpdesk link not working. Plz provide alternate link????? Your post was really helpful 🙂 i was able to log a request for changing my phone number. Do you by any chance know how many days they usually take to revert/update on each query? Dear Sunetra..I am not sure of the time-line, but based on my observations, it is generally within 2 to 3 weeks. I am having the same issue. Could you please let me know how to update my mobile number for UAN. I forgot my password and mobile number is changed. Dear sir, I Shiv chandra kamat wants to change my mobile no. Because my mobile no has been blocked. Myself Dilip Kumar , I am unable to download my UAN card because i lost my moblie number . my new number is 8476075622 and i know my UAN number but the problem is registered moblie number is lost and my UAN number is 100018839***. Dear Dilip..You can submit your request by selecting the option ‘forgot password and mobile number changed’ option. Mobile Number changed option not coming. I have my personal no 99587252** which was already registered with EPFO. I got my UAN number. But i have to register it with my official number. When i registered and activated UAN no, it did not get activated from my personal number because it was already registered. Kindly Help me to change the number. Dear Mukul ..You may submit your request with ‘forgot pwd and mobile no changed’. Dear adinarayana ..Kindly select the option ‘forgot pwd and mobile no is changed’ and submit your request. Dear Nikyta ..You can request your ex-employer to correct the data and re-submit the forms to EPFO. Myself Divya Jain , I am unable to download my UAN card because i lost my moblie number . my new number is 738530031** and i know my UAN number but the problem is registered moblie number is lost and my UAN number is 100453356***. Else, you can opt for ‘forgot password and mobile no is changed’ option. thanks sir new mob no is 99713074**. When I am Trying to generate MY UAN error occurs Saying ” Your Date of Birth and Name didn’t match”. Dear ZIA ..By any chance, do you already have a UAN? Read: How to generate UAN? I am Sonal Mehra Kadam. I have a UAN generated and activated. However I left my previous company and have now joined a new organization. But my last date in previous organization was 1st April 2016, and joining date in new company is 4th July 2016. I had also withdrawn my PF from my last company as I did not have a job in hand then. 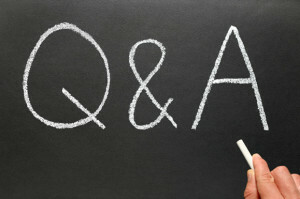 Please let me know if a new UAN will be generated for me now from the new company or should the old one be continued. I have not been able to get answers from anywhere. The toll free numbers are always busy and emails are not replied to. Waiting in anticipation for your response. You can let your new employer know about your old UAN. The new EPF account can be linked to your old UAN number. Read: What if two UANs are allotted? sir my self punit;i have leftr my compny 3months ago.but i dont onow how creat or genrate UAN no i realy need of this please you let me know. Dear punit ..Kindly go through this article : How to generate UAN online? But sir ,ther i seen my UAN in pending from last 20 days.then wht should i do? I submitted my pf form in last compny during my resgination then after 4 months HR asked to send filled form again . I sent filled form again but still HR Did not submit my form can you plaese help me to withdraw pf amount as i need it badlly. HR always give excuses that ” we are going to update digital signature of MD”. but i know he is doing nothing . Company name is ALCHEMY MEDICINES PVT. LTD. – ROORKE( UTTARAKHAND). corportae office is in GURGAON. PLEASE GUIDE ME HOW I CAN COMPLIANT IN EPFO OFFICE . You can check the status of your claim (if they have submitted), here, click this link. IF your KYC details are verified by your ex-employer then you can submit the withdrawal forms directly to EFPO. Read: New EPF withdrawal forms. I have changed my mobile number long back but my Employer was updated the old number in my PF details. Some person is using that number now, So when i try to log in to the UAN portal the alerts are going to that mobile and i requested in member portal to change my mobile number but i have not received any call since 1 month. can you please help me to change the mobile number and withdraw my pf balance. Dear Srikanth..You may kindly log your grievance at..click here..
& my new mobile number register in UAN helpdesk yesterday.still i did not get password to my new number.what can I do? There were two UAN account number created but only one can be in active. I wanted the second number to be deactivated, needs your guide to do. Dear Sheela ..Kindly read this article : How to deactivate old UAN? Thanks for your suggestion. I don’t want to merge or transfer the money between Two UAN or EPF accounts. I just want to deactivate the old UAN account. please guide me on the same. Dear Sheela..The above merging process mentioned in the article is for deactivation of old UAN number only. You may kindly contact your employer or EPFO directly. How can i check my Name on UAN portal and how to change if its not correct ? And Sir please tell me whether online UAN helpdesk works or not? because i put my request to change my Name but i didn’t get any update yet. I able to access the help desk portal. Suggest you to try using the portal from a different system with a different web browser. You can submit online request for name change and also submit ‘supporting documents’ to your employer. They in-turn will forward them to the EPFO. Dear Vinay ..Kindly refer to above article, the link has been provided. Hi this is Uttam issue is that I didn’t get my uan number. Because when company generate the uan number that time my put the wrong mobile number so I didn’t get the uan . then am tray to generate the uan number that time am got the msg your mobile number is not registered so what I am do..
You are suggested to immediately report the matter either to your employer and through email to [email protected] by mentioning, both – your current UAN and your previous UAN(s). After due verification, the previous UAN(s) allotted to you will be blocked and the current UAN will be kept active. Later you will be required to submit a Claim to get transfer of service and fund to the current UAN. I have Pf number from my new company bit I don’t have Pf number or UAN number of previous company. My present evoker is asking for Uan number to link. How to greengage a new UAN number for this pf number. Dear JAGATHEESWARAN ..Kindly read: How to generate UAN number online? Kindly get your old EPF a/c monies transferred to your new EPF a.c.
How can i check my date of birth on UAN portal and how to change if its not correct ? And Sir please tell me whether online UAN helpdesk works or not? because i put my request to change my DOB but i didn’t get any update yet. Dear Ashok .. you may route the request through your employer. Kindly submit supporting documents (for DOB). The mentioned site for correction of mail UAN online help-desk portal (59.180.231.60:9091/UANhelpdesk/) does not connect. Please let me know any other way of correcting names. Dear Nazeer ..I am able to connect to the mentioned URL. Suggest you to kindly try from other system with a different browser. Kindly informed you that I have lost my reg.. mobile no . so want chang my UAN mobile no. Dear sir i have forget my UAN number how can get. i applied for PF transfer and new company got the amount but EPS is not transfer. Is there any reason ??? After PF transfer , still some interest amount is there in old PF account. If i request for PF & EPS withdraw , will i get both amount ??? . Can you please send me the details. Dear Nagarjuna ..Generally EPS amount will not be transferred along with EPF amount. However your no of service years (contribution years) gets added. Yes, you can withdraw both if unemployed for >60 days (EPS can be withdrawn if service period is less than 10 years). I am unable to login my UAN ,for it I have reset my password and then tried to login but it didn’t. my new mobile number is 7090006102 please kindly register this number and give Sir. i lost my mobile number which is registered in epf and uan activation but now the problem is the old number which i used is swiched off so the change of my password otp code is going to that number only.please suggest me what to do. Some error occurred while submitting Details. It’s a technical error you may kindly contact UAN helpdesk (or) can try from a different System with different Web browser. If you have forgotten your password then may I know how did you add your new Mobile number on portal? If my old employer not provided my UAN, while i left the Job so how do we get the UAN. I facing problem in transfering my old PF account to my Current account , it is giving D.O.B missmatch but in the PF passbook it is correct and when i am looking declaration form 13 there my D.O.B is not correct , i am quite confused where is the problem exit. I have already filled griverance to PF office and they are saying it is correct from there side. What to do , please help me ? Dear Sumit ..You may kindly check with your employer(s). Have you submitted the transfer claim online or offline? Isn’t it Form 13 is old format?? It will be a great help if I will get information about my below issue. I have forgot both my UAN login password and also lost my mobile. And for this issue I have submitted multiple requests through EPF UAN Helpdesk by choosing option “FORGOT PASSWORD AND MOBILE NUMBER IS. CHANGED”. Although I am giving the correct details, every time I am getting response from EPFO side that UAN details is not matching with member id. I have two member ids and I have raised requests for two. For one member id they are responding “UAN details is not matching with member id” and for the other one they are responding UAN is not registered. Why can’t you take help of your current employer. I am sure they can contact the EPFO directly and help you out. Dear Naveen ..Your employer may have to send your Employment details to the EPFO. Kindly check with your employer or ex-employer. Hi. I am not able to login to this site and not getting any response in website after click on login. It is showing some error message HTTP Status 500 . I am trying it for many days please help me. I called for customer care regarding my Issue. The customer care people simply disconnecting my call. Please give me suggestions regarding this Issue. I forgot the password for my UAN id, but I still have my mobile active. As per EPFO’s option, I tried retrieving new password by clicking on Forgot Login, and I received a text from EPFOHO with username and new password. Hi….even I am unable to login with right UAN and password. I have tried various machines and browsers but result is same. I use to login and access till 20 days back. Ref. No-16074739** before 10 days ago but till today I am not received any confirmation about my new mobile is registered with UAN by epf . Pls suggest me what doing next. Dear pradeep ..Suggest you to try again or submit your grievance at, click here.. I was working with CTS since SEP 2013 to JUNE 2016. MY UAN Profile details are wrongly updated by CTS. i submitted Joint declaration letter to EPFO thru CTS. will there be any problem for Autodesk create my PF account and tag it to UAN? Pls advice. Can Autodesk create new UAN? Its been 2 months and no update from PF dept. Kindly note that an employee can have only one UAN. Kindly let your new employer know your old UAN number and also the issue related to ‘profile details’. Your new employer can help you out and can get this sorted out. You may also submit your grievance at, click here.. I have tow UAN numbers… I joined new company so they gave new number.. I would like to remove/unmap the old UAN number to my mobile number and account as it is causing problem while activating the new UAN number(this UAN is used in my recent so I need to retain the new one), it tells this mobile number is already registered to other UAN(old one) . how to deactiviate/delete the old UAN number so that i can use my new UAN number. You have to contact the EPFO to delete the UAN. Uou are suggested to immediately report the matter either to your employer and through email to [email protected] by mentioning, both – your current UAN and your previous UAN(s). After due verification, the previous UAN(s) allotted to you will be blocked and the current UAN will be kept active. Later you will be required to submit a Claim to get transfer of service and fund to the current UAN. 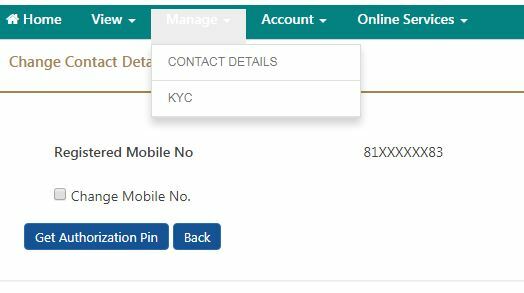 In my New UAN card Father name is empty and KYC is No… how to resolve this issue? You can provide your father’s name in UAN portal and also submit the required proofs to your employer. You can upload kyc documents like your PAN card copy, Aadhar card, bank account cheque leaf etc and get them VERIFIED by your employer. I have a uan no. alloted and all my kyc documents are uploaded and verified by employer. i want to withdraw my pf amount using uan no. i left the organisation 7 months ago. New EPF withdrawal forms 2016..
EPF withdrawals & new TDS rules..
verification status is pending so please guide us for approved my KYC information. In UAN help Desk problem solution is available but this site when require information filled than in one filled require Name but UAN System not responding . ( i.e. I have type name but system not responding so please guide us. Dear Santosh ..Kindly request your employer to verify & approve your KYC details. I my employee ID is 957893, I have still not received my UAN number my PF number is BG/BNG/0035224/000/0737****. Dear Varsha..Kindly contact your employer . Else, you yourself can create an UAN (but check with your employer first if they have already created one. Because an employee can have only one UAN). Read: How to generate UAN online? Hi . I want to withdraw my Pf but when i got a message from Uan with no and password the same message got deleted by mistake. I need your help so that i can change the password and then i can take a print of my Uan card. You should have some facility in system as in whenever the users loose the mobiles, we can get the details by email. This is kind of self help. And then we can update the correct details. Only mobile number is not enough. We must have some other alternate. This is frequent issue that sometimes mobile numbers get changed, then we can access mails. I also faced same issue.. I cant get the same mobile number.. and I could not check my PF account details from last year. Agree with your viewpoint dear Jagruti.. The EPFO should provide one more (preferably an email mode) alternate to reset password. I have a raised a request to update my new mobile number 9582237569 as i lost my previous number 9911516078 and i am not able to login to the portal. I got the reference number but no one has contacted me. tried through my company but they are helpless. So could you please let me know how to track this request? Tried calling toll free but no use. Lost my mobile number 9911516078 so unable to receive OTP. I have a raised a request to update my new mobile number as i lost my previous number and i am not able to login to the portal. I needed to change my registered mobile number very urgently as the registered number is now being used by someone else. For this, i filled up the online form with problem type as “Forgot password and mobile number is changed”. But, when i clicked on “Generate OTP”, it said that an OTP has been sent to my Registered mobile number! That completely killed the purpose, i mean. Can you help me with this? You can use this option if you have forgotten both your UAN login password and also lost your mobile. Kindly provide the new mobile number in the required field. Thanks a lot for your response! However, please note that i had already provided my new mobile number in the form as requested. But, i never received an OTP on the mobile number provided and instead, as per notification, the otp went to my registered mobile number, which is lost in the first place! Please see if you can advise me on this. I also face the same problem as Anish. I don’t remember my password . Also my already registered mobile number is not in use. I followed the instructions as mentioned above. In place of mobile number , i entered my active number in use. When i submitted the form, It showed “OTP is sent to registered number” . I didn’t receive any number to my active number. Please assist if you could do. Dear Gokul..There seems to be an issue (technical) w.r.t UAN heldpesk. Kindly submit your grievance at EPFO link..
Dear Anish..Suggest you to submit your grievance at, click here.. I am N. Suresh Kumar from Chennai. My UAN number is 100374170***. In the UAN portal, I have updated my Bank Account number and IFSC Information by selecting KYC as “0060101016****” and “******00006” respectively on 1st June 2016. I have also enclosed the image of Cancelled Cheque in UAN portal. The verification status shows “Approved by Employer”. In FORM 11, my Bank account number shows as “******5*5” instead of “*****185**”. When I went to submit forms for PF withdrawal, they are saying that my account number is mismatching. It seems in their server (EPF OFFICE) my account number is still “60*******5”. Since there is a mismatch of Bank account number, I am unable to submit forms for withdrawal of PF amount. Please advise how long will it take for the correct bank account to be displayed in the UAN server operated by EPF office. Kindly do not share confidential information like your Bank account number, UAN etc on public forums. I am not sure about the time-line. Kindly follow up with the EPFO only. 2 yrs back I was working in One company. Now i was checked in UAN portal abt PF deatils But didnt showing anything. Now working another company and have new UAN number PF. I can withdraw on my previous company PF and close the UAN no. Is t possible? Dear Prabhu..Suggest you to transfer the old PF a/c money to your new one. Very difficult situation to decided withdraw money. I will transfer the old PF A/c to new one if not possible to withdraw. Need money very urgently …. Dear Prabhu..Kindly read this article, can be useful : EPF partial withdrawal rules & guidelines. I used the mobile number provided by my earlier company and i have left them in 2013 and submitted my sim card. Got my UAN number but unable to get the QTP. Dear Venkatraman..You may select Issue type as ‘Forgot Password & Mobile Number Changed’ and can get it sorted out. I wanted raise one name spelling error in helpdesk page but did not receive OTP in registered mobile.Tried multiple times.Mobile number is there in UAN account in active.Tried different browsers also but no luck. Thanks.Tried after some times and got OTP. Don’t know whether reply will come or not.Now i contacted with my ex employer for this.So they asked me to fill a form along with pan. aadhar card,10th mark card. What i am asking is is PAN and AADHAR cards are enough to prove my name and father name correction?Or instead of 10th card i can provide DOB certificate.Please let me know. Dear bamdeb..Yes you can provide DOB certificate too. kindly help me to update my mobile number. My previous number is deactivated and i am not getting the OTP. I need to change my password please as i have forgotten it. Please help. I am trying to call the tOLL free last two days its busy all the time..
Dear debabrata..You may submit your request as mentioned in the above article. Dear Dinesh..If possible suggest you to submit the required docs (with correct name) to your ex-employer, get them verified and then again try submitting EPF withdrawal forms. I have opted to withdraw my PF and submitted my documents as well. Both employee + Employer share comes around 1.3 Lakhs when i checked the passbook. On 31st May,2016 i have received only 26 K which is way too less. I have raised a complaint in UAN helpdesk and my employer asked me to check with PF helpdesk since they dont have any idea on this issue. I tried to reach out to customer care toll free but no luck . Could you please throw some light on this issue. Dear Shree..You would have received your EPS amount and you may soon receive your EPF amount too. Thanks for your response. Yes i received the remaining amount this afternoon. Dear mohammed..Are you currently making contributions to that EPF a/c? Read: Inoperative EPF a/c helpdesk. Dear Krishna..That’s like your compliant/service request reference number. You can track the status of your request using ref.num. My name is wrongly updated in UAN database under current employer for which I have already submitted Joint declaration 6 months back still no progress.Also raised two grievances with EPFO but no luck.Is there anyone I can escalate. I want to transfer my Account from previous Employer to Current one,can I do this online will it cause a problem. If there is a mis-match in your personal details, your transfer claim may not be processed. Kindly follow it up with your current employer. Did you submit online request or offline request? or both?? Still I haven’t started the process as was waiting for name change to happen so that I can proceed online. My employer has suggested for an offline transfer but as per them no timeline when it will get transferred. Should I mention my correct name in Form 13 under current employer,whether it will conflict with wrong name in UAN . I was referring to name change request through online/offline mode. Dear Leejo..Suggest you to try submitting online request through UAN helpdesk.. I have already the same and now it’s more than 10 days but not a single update from EPF side and UAN helpdesk no 1800118005 never responds as always busy. Is there any alternative way to approach?? My issue is Name correction. I have a written letter from my previous employer about it. Problem is name saved is wrong and linking it with current company might create an issue. The only suggestion I can give is to try after sometime or may be tomorrow (as it is a technical issue). You may also submit offline request through your employer. sir how to generate UAN No give me a suggestion. My UAN account number is ************* but login password is forget & updated mobile number is rejected ,that’s i can’t login my UAN ,so Sir kindly help me .. I am a new follower of your webpage and I am grateful to information you provide here. My questions is – I used UAN helpdesk to retrieve new password on my new mobile no.I submitted the OTP it generated and i verified and submitted the request for the same. When can I expect a reply from EPFO about the same? any idea? Dear Manish..May I know, what reply are you expecting from the EPFO? What is the issue? I cant get my Authorization Pin because it is showing my date of birth is wrong. You can get it corrected by submitting a correction request through helpdesk (as given above) or you can route the request through your employer. I have tried it doing through Helpdesk , but I cant get through. nd old registerd mbl no i m tried last long time my but there is not any riply from uan help desk nd uan help contact number i m waiting last One nd half year ego . Dear Vishal..Kindly do not share sensitive date in public forums. Please contact UAN helpdesk. Dear devinder ..you may submit your request through helpdesk. My date of birth is wrong in UAN(enter by previous company), due to this current company not able to link the UAN to new PF account. Previous company asked me to raise UAN helpvdesk ticket. Can you please give me suggestion how i can resolve this. Dear Nagarjuna..You can submit your grievance at ..click here.. Thank you Sreekanth. I applied in http://epfigms.gov.in/ . let see. I had resigned from a company 6 years ago and I’m self employed till this day. I forgot about my EPF a/c for long and that company was acquired by another bigwig company. Is there any way to withdraw my EPF amount using my name and other identification info using online or offline methods ? Your EPF a/c would have become an INOPERATIVE one. Kindly submit your request to EPFO. Read : Inoperative EPF a/c trace & find it..
Sreekanth, Thank for very much for your help. Need your help. I don’t see my previous employment PF contribution on the UAN portal, can you please let me know how to get this added ? Dear Ramesh..Did you add/transfer your old EPF a/c monies to your new EPF a.c.? Thank for the reply. I havent applied for any transfer. Who would be able tohelp with this? Dear RAMESH..Kindly read : EPF A/c Online Transfer procedure..
What is the benefit of UAN number. To make partial withdrawals/withdrawals, quoting UAN number is now mandatory. Kindly read : All you wanted to know about UAN. I have two issues and hope you can show some direction on how to get them addressed. 1) I have been employed with my current employer since January 5th 2016 and since then my PF contribution are happening every month which can be seen in salary slip. However, they DO NOT show up on the UAN website. During my tenure at previous employer, the PF contribution used to show up regularly on the UAN website. I was asked by my current employer to transfer the PF from previous to current, which I did and transfer is under progress. However I do not see that should be related. All I would is to see the up-to-date information about my PF contribution on the website. Please advise. Dear Shashi..You have joined the new company just recently. So, you may kindly wait for some time. Sreekanth, Sorry that was my type error. I joined my current company in Jan 2015 ( and not Jan 2016). Please advise. Dear Shashi..You can check with your current employer about this issue and also raise a service request @ EPFO’s grievance helpdesk online. Thanks Sreekanth. I have raised ticket with helpdesk. thanking you to share it . as i have worked for the company for 6 year 5 months.. Do i need to submit 15G for TDS? if so, what is the assessment year in my case? EPF withdrawal after 5 years is not taxable. Form 15G not required. what if employer is not willing to seed the KYC documents? i have uploaded my self attested KYC documents in UAN portal for approval. is there certain instructions to employer to approve KYC submitted by member? They have to approve. If they dont approve, you may kindly escalate the issue to EPFO. Dear Girish..Let me know what kind of surety are you referring to?? This facility is maintained by the EPFO.